110 Queen Street offers the best business address in Glasgow’s central business district. A striking contemporary facade with 143,000 sq ft of prime office over nine floors and a garage with space for 56 cars. The efficient, bright, large office floors, each over 18,000 sq ft are contained within Glasgow’s finest new sustainable office building, situated in this pivotal location, offering all the convenience of the city centre, with local amenities and transport links nearby. A modern, brand new, iconic retail opportunity, 210-216 Ingram Street is located at the heart of one of the best retailing cities in Europe – Glasgow. With a striking contemporary, double height frontage, the retail totals 20,000sq,ft (1,858sq.m) over ground and mezzanine. Ingram Street links to the nearby Buchanan Street, via the cosmopolitan Royal Exchange Square and is already home to a number of upmarket brands including, Hugo Boss, Ralph Lauren, Gant and Mulberry. Views welcome, and updated photos, these are from just before Christmas. Brodies LLP has signed up as the first occupier at BAM Properties latest office development at 110 Queen Street, Glasgow, signalling a major vote of confidence in the city. Scotland’s largest law firm, which currently has an office in Blythswood Square, will lease 25,000 sq ft on the sixth floor and part of the seventh floor within the nine storey building which is being developed by BAM. The move reaffirms the firm’s commitment to Glasgow as a vibrant business centre and is testament to BAM, whose confidence in the market led it to invest in the city at an extremely challenging time for the UK property market. 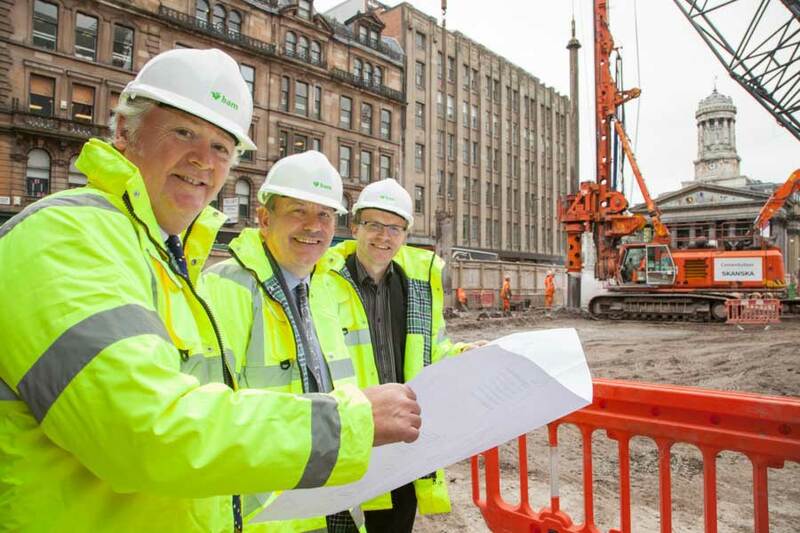 Picture (L-R): John Burke, Executive Director, BAM Construct UK, Bill Drummond, Managing Partner, Brodies and Michael Smart, Development Director, Scotland & North England, BAM Properties Ltd survey building work at 110 Queen Street, where the law firm is to be the first tenant. Bill Drummond, Managing Partner of Brodies, said: “Our decision to relocate to what promises to be a fantastic city centre development underscores our commitment to supporting our many clients in Glasgow in the long term and to the city as a thriving place to do business. “We hope that our investment will contribute to Glasgow’s future economic growth and will allow us to build, with the support of our clients, on the 150 jobs we have created since we first established an office in the city in 2006. John Burke, Executive Director, BAM Construct UK added, “We firmly believed in this location’s ability to attract high-calibre occupiers such as Brodies. This project is about providing a sustainable business infrastructure that gives occupiers and the city a real competitive advantage. “A vote of confidence by Brodies is a great boost and since they came on board interest is gathering apace. “With three office developments in progress in the city, we are delighted that Brodies chose 110 Queen Street. We expect to make further announcements soon. During its construction, which is being undertaken by BAM Construction, the development will support 250 jobs and 30 apprentices. BAM Properties has invested £40.4 million in the development with a further £9.6 million loan secured from the Scottish Partnership for Regeneration in Urban Centres (SPRUCE) Fund, established by the Scottish Government and European Regional Development Fund. Deputy First Minister Nicola Sturgeon said, “I am delighted to hear of the progress made with this development since I visited the site last year. 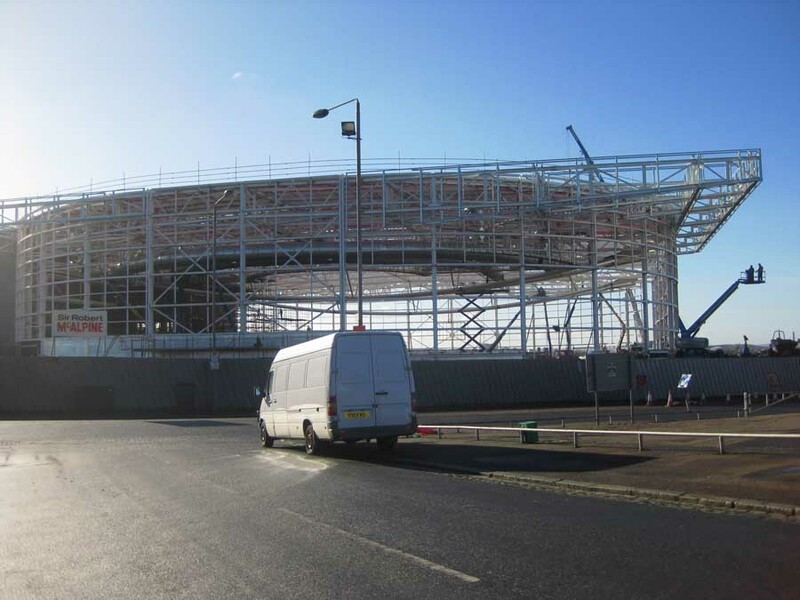 Attracting such a high profile tenant so early in construction bodes well for the future of the site and sends out the right signals – that Glasgow is an attractive place to do business. “We were sure of the need for such high spec office space in Glasgow to enable it to compete more effectively with other large cities in the UK and internationally – and this is tangible evidence of that demand. A further 118,000 sq ft of office accommodation will be available at 110 Queen Street along with 20,000 sq ft of retail space. Further details on the office accommodation is available from agents Cushman & Wakefield and Phil Reid Associates, and from Cushman & Wakefield for the retail space. Brodies LLP is a leading law practice delivering legal services of the highest quality to Scottish, UK and global organisations. With offices in Edinburgh, Glasgow, Aberdeen and Brussels, the firm offers legal advice to private and public sector clients both in the UK and internationally in its core business areas of corporate and commercial; energy (both renewables and oil & gas); property; litigation; banking and financial services; employment, pensions and benefits and trust and tax. Brodies has 21 practice areas that are ranked top tier by the UK’s independent legal directories. The achievements of Brodies and its partners have been recognised with numerous independent awards in recent years. BAM Properties is a leading player in the property market in Scotland. We are known for commercial and retail developments that create value for investors. Our high quality, sustainable developments also bring benefits to the businesses and people who work in them. BAM Properties is the property development arm of BAM Construct UK a major construction and property services company with a turnover of £1 billion per annum which also undertakes design, construction, facilities management and public private partnerships. 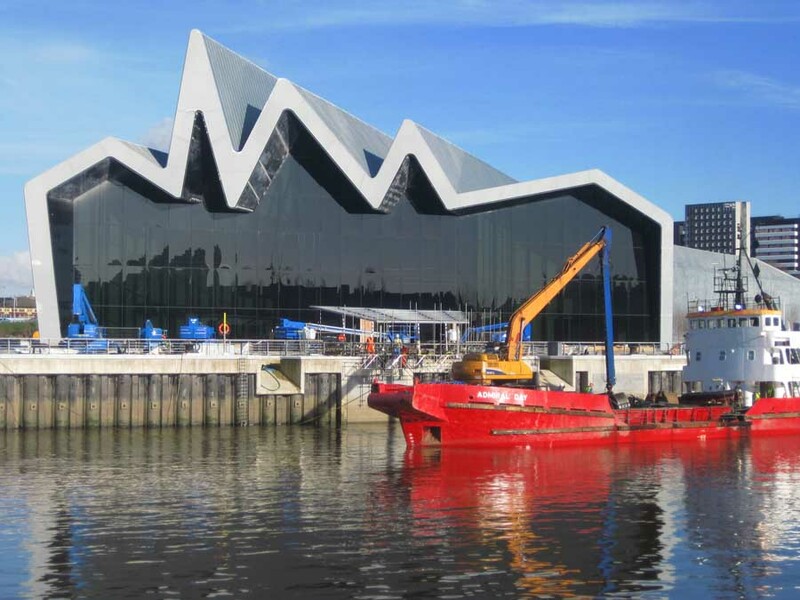 Significant developments in Scotland include building the Riverside Transport Museum, refurbishment of the National Portrait Gallery, Nike’s flagship store on Buchanan Street, Tesco Bank’s headquarters at Haymarket in Edinburgh and NFU’s Glasgow office. We are part of Royal BAM Group a €9 billion European construction and property services enterprise that is listed on the Euronext Amsterdam. BAM Properties has developed over 3 million sq feet of commercial and retail space over the past 25 years. Its most recent retail development in Buchanan Street, Glasgow was let to Nike and sold to investment managers La Salle. For further information log on to www.bam.co.uk.